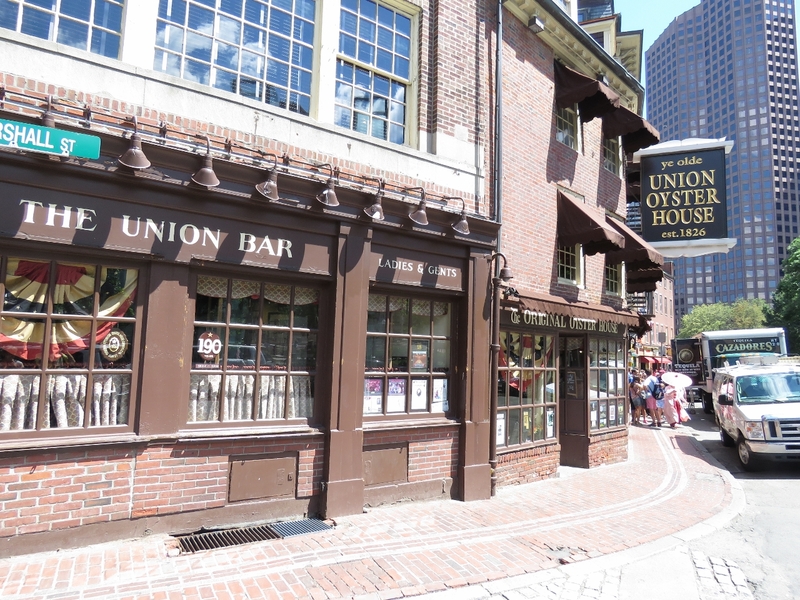 The city of Boston has done an amazing job in revitalizing their waterfront and downtown while featuring their historic buildings and venues. 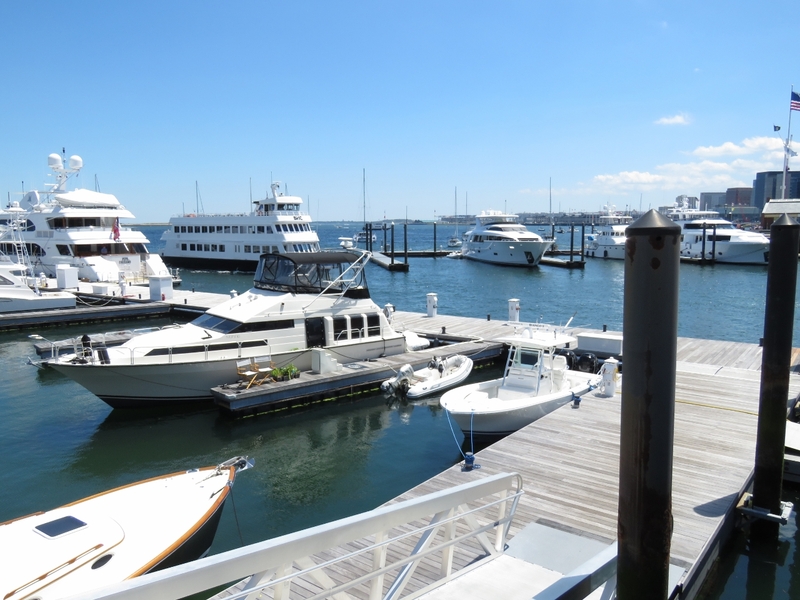 Long Wharf in particular has been transormed from a failing commercial center to a thriving cultural and recreational destination. 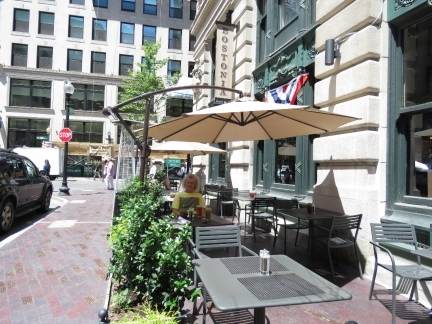 And Bostons’s late-20th-century “Big Dig” moved the Central Artery below ground, restored the close connection between Long Wharf and downtown. We spent an afternoon enjoying some of the newer features of Long Wharf and the downtown area, and exploring some of its historical places. 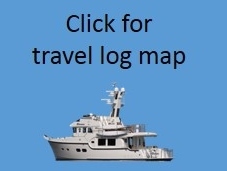 Our tender moored at a temporary slip in the Boston Yacht Haven for a few hours while we spend some time downtown. The Yacht Haven is part of a successful transformation of Boston’s waterfront from commercial to recreational and cultural. 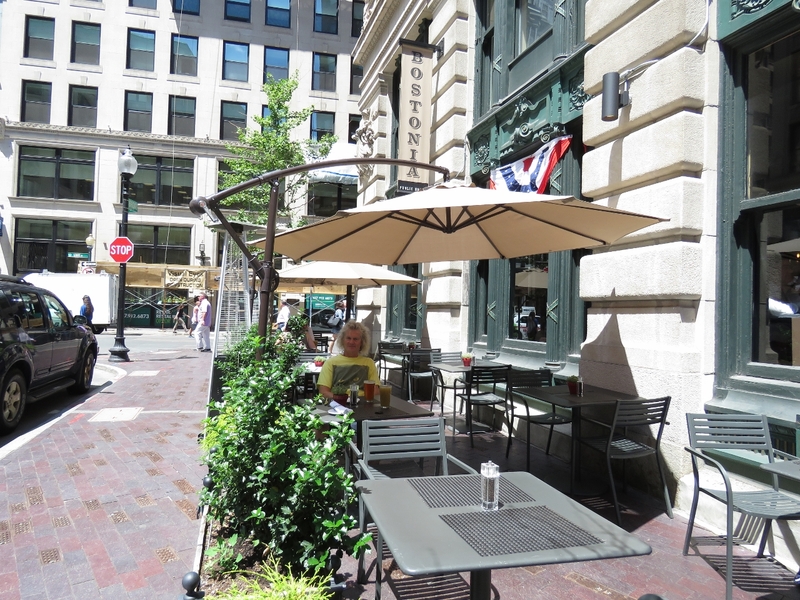 We stopped in for another order of the delicious salt-and-pepper wings at the Bostonia Public House. 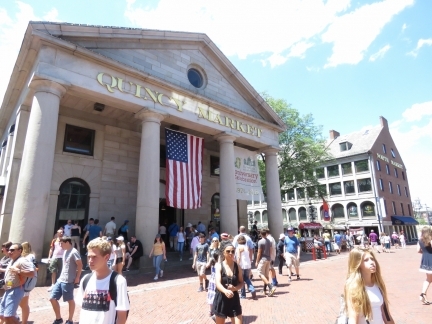 Quincy Market, built in 1824-1826, is a National Historic Landmark that one of the largest market complexes built in the US in the early 1900s. The market was largely used as a produce and foodstuff shopping center, and now mostly contains fast-food stalls and restaurants. 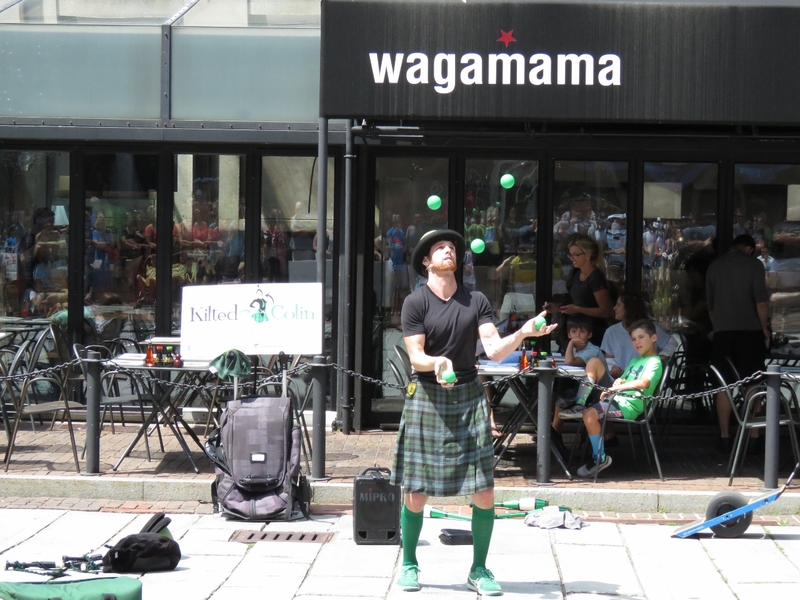 The area around Quincy Market is a popular venue for street performers. This juggler was doing an impressive job of juggling five balls. The Cheers restaurant west of downtown Boston inspired the Hollywood television show of the same name. 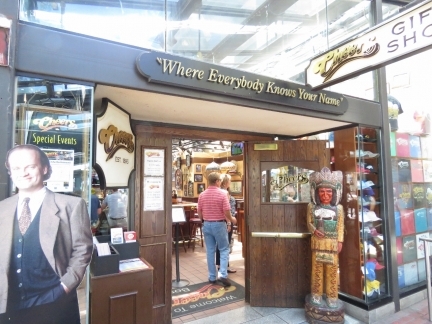 Completing the loop, the Quincy Market Cheers location later was built to replicate the Hollywood set. Faneuil Hall has been a marketplace and meeting hall since it’s construction in the 1740s. 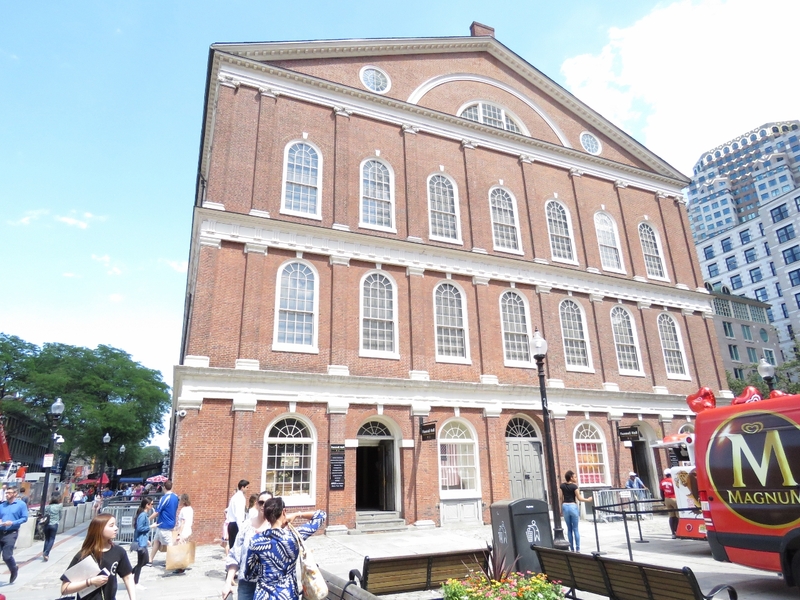 Samuel Adams and several others spoke here advocating independence from Great Britain. The hall now is part of Boston National Historic Park and houses the park’s main visitor center. 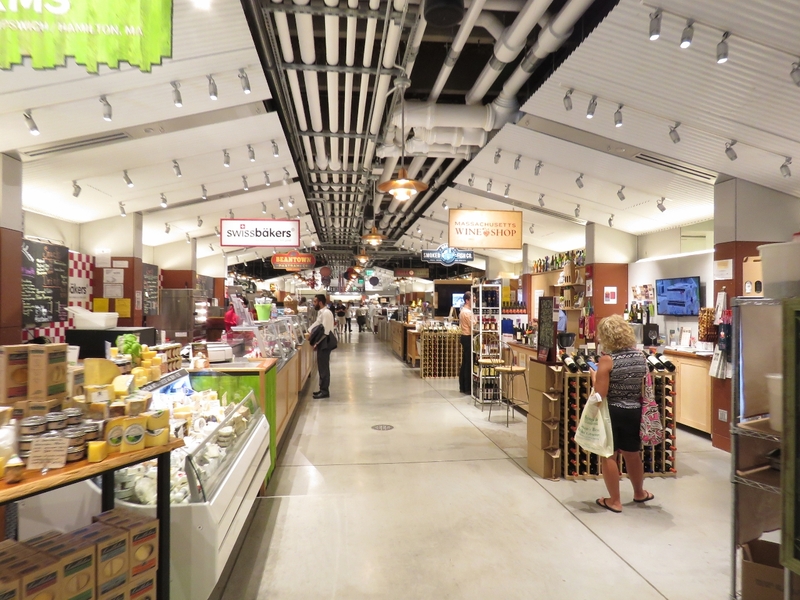 Northwest of Quincy Market, the upscale Boston Public Market has locally sourced groceries and specialty agricultural products. 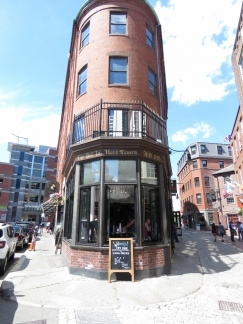 The Bell in Hand Tavern bills itself as America’s oldest tavern with a first pour in 1795. The Union Oyster House is the oldest restaurant in the country that has been continuously running since it opened in 1826. 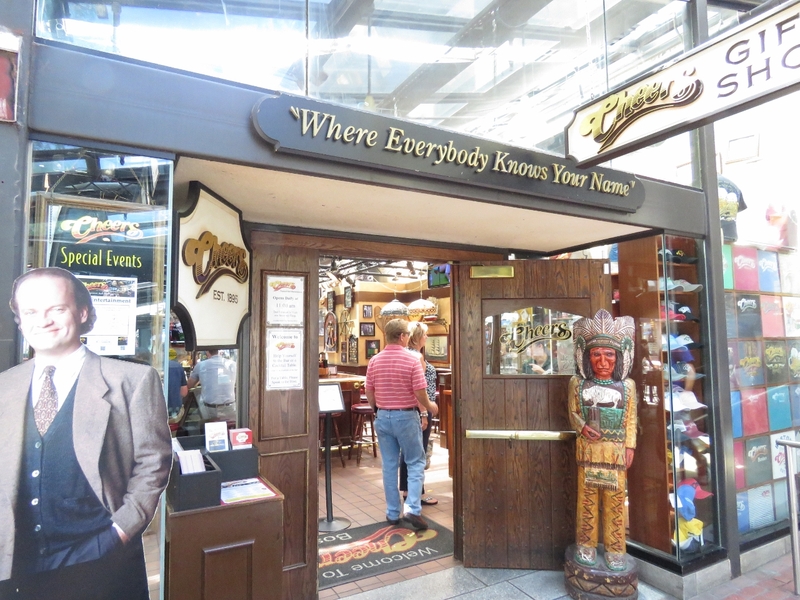 Famous patrons include the Kennedy clan and American statesman Daniel Webster.